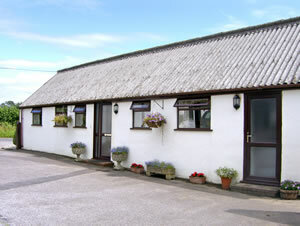 1 The Courtyard in South West England a perfect base for your holiday in Dorset. Find out more about 1 The Courtyard below. With ample accommodation to sleep four in an en suite double and a twin bedroom, this charming property has been well equipped throughout and comes with a lovely patio area for al fresco dining or relaxing in the glorious sunshine with a good book. Across a courtyard from the owner's farmhouse and in the heart of the community of Alderholt is this cosy, single-storey detached barn conversion. Set amidst glorious Dorset countryside and close to the borders of Wiltshire and Hampshire, this property is just three miles from the town of Fordingbridge and the edge of the New Forest National Park. With so much to see and do in the local area, this is a wonderful location for a fun-filled break that all the family is sure to enjoy. 1 The Courtyard is family friendly self catering. We have the following details listed regarding 1 The Courtyard accommodation accessibility but we would recommend that you always confirm these prior to booking with the owner or operator. 1 The Courtyard is a great base to explore the wonders of Dorset and you will find plenty of activities near by. 1 The Courtyard is at Alderholt, Dorset SP6 3EG. Check out the map below for directions, use the controls to zoom in. If you have stayed at 1 The Courtyard why not add your thoughts, comments, pictures to our Facebook page? Don't forget to add the name/town/page link to your comment so its attributed to the correct place. Please keep it polite, we are sensitive souls! Find Cottage Holidays works closely with independent cottage owners and leading holiday travel operators to provide you the widest choice of self catering accommodation across England. 1 The Courtyard in Dorset is available through: Sykes Cottages. Stayed at 1 The Courtyard?